Help dealing with minor criminal records as they effect immigration petitions. Referring clients to other resources for housing, insurance and non-immigration legal needs. Tree of Life Immigration Clinic offers FREE Consultations. Clients who wish to retain our services agree to pay us a small fixed fee. These fees aim at charging about $15 per hour. Tree of Life does not normally assist in paying for any USCIS fees, though we do help low-income clients apply for fee waivers. In order for this ministry to be truly successful, it must have support from the community at large, not only the community of the church. Please contact us about doing any of the following. Invite us to come speak at your church or group. ​Pray for our staff and clients. In order to keep our legal fees low for our clients, Tree of Life Immigration Clinic requires outside grants and donations. Please consider supporting the work of Tree of Life Immigration Legal Aid Clinic. Checks can be sent to Tree of Life Anglican Church, 2331 Miracle Ln., Mishawaka, IN 46545. Simply write "Immigration" in the memo line. To welcome the stranger by providing legal assistance for our low-income, immigrant neighbors as a way of showing Christ’s love. Tree of Life Immigration Legal Aid Clinic is a ministry of Tree of Life Anglican Church and the Anglican Immigration Initiative. The goal of this legal aid ministry is to assist low-income immigrants in filing government documents that will allow them to work lawfully, or let their families reunite and/or stay together, or help them become citizens. We also to raise awareness in the wider community about the needs of our immigrant neighbors. This legal aid ministry also gives us a practical way to show the love of Jesus Christ to our immigrant neighbors. Tree of Life is partially recognized and authorized by the Department of Justice to do basic immigration law. This recognition allows us to help clients with most immigration issues. Since we are not lawyers, however, we cannot represent clients before a court of law. Clients who come to us with immigration court dates (such as deportation hearings or certain asylum cases) are referred to a lawyer who can fully assist in these matters. Happily, the vast majority of immigration needs are not of this nature and we are legally certified to help with many immigration petitions. No matter what your concern we will do everything in our power to get you the help you need, either here or through a referral. Immigrants are valuable members of our community, but sometimes misunderstand the legal options available to them. For example, notarios, i.e. unauthorized legal practitioners, often target immigrants, making grand promises about getting visas for immigrants and their families and charging exorbitant prices while producing few results, if any. Churches like ours, however, are rooted in neighborhoods and have a history of loving service for their neighbors, providing accountability and trust. Our clinic director is trained in basic immigration law and certified by the US government (Department of Justice) to offer immigrants low-cost assistance. As such we are able to provide desperately needed legal assistance to our immigrant neighbors in an environment that is safe and accountable both to our community and the law. As a church we also have the unique opportunity to provide spiritual and social guidance in addition to legal services. Many of our clients also seek counseling and prayer while they go through their immigration process. 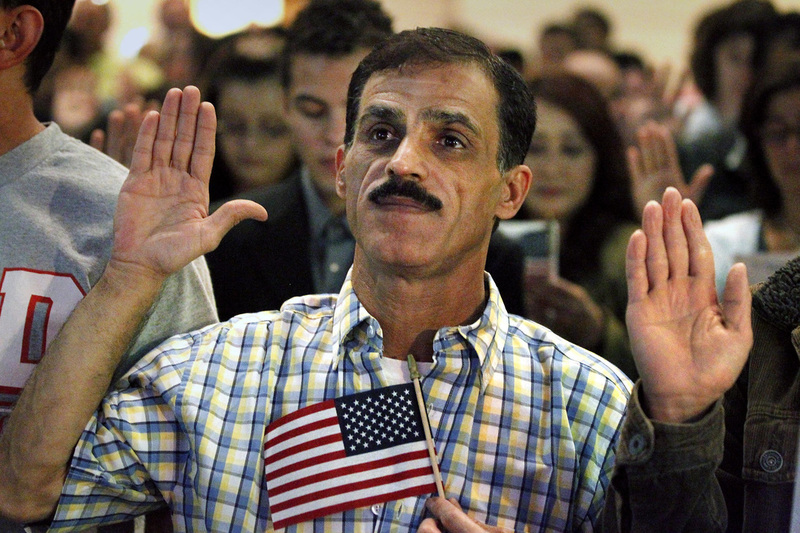 According to the 2010 American Community Survey, there are as many as 22 million immigrants in the US who need immigration legal aid (because they have no visas, they have visas that need to be renewed regularly, or they have not yet become US citizens). While some can afford immigration attorneys, many cannot. Recent immigration reform has heightened the demand for high quality, low-cost legal assistance. According to the US Census Bureau, St. Joseph County has as many as 10,000 immigrants in need of immigration legal aid. Within 50 miles of this area, there are only a handful of immigration attorneys and accredited staff able to help those in need. Thus, Tree of Life provides low-cost services that our community desperately needs.